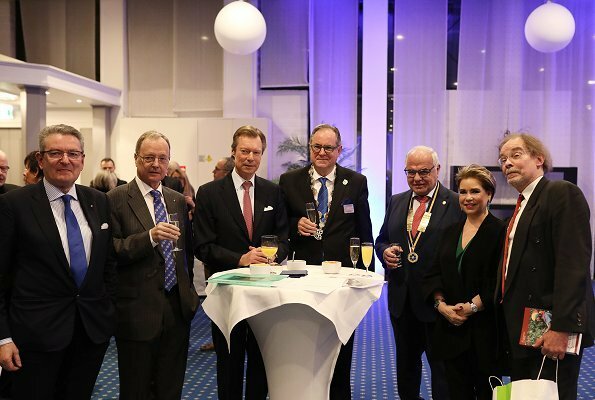 Grand Duke Henri and Grand Duchess Maria Teresa attended Rotary Partners' Night held by Luxembourg Rotary Clubs at Parc Hotel Alvisse in Luxembourg city. The theme of the night was the introduction of "Stand Speak Rise Up!" 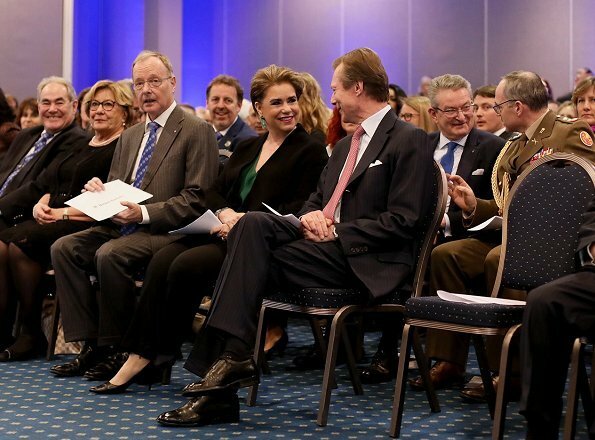 international conference which is an initiative of the Grand Duchess. 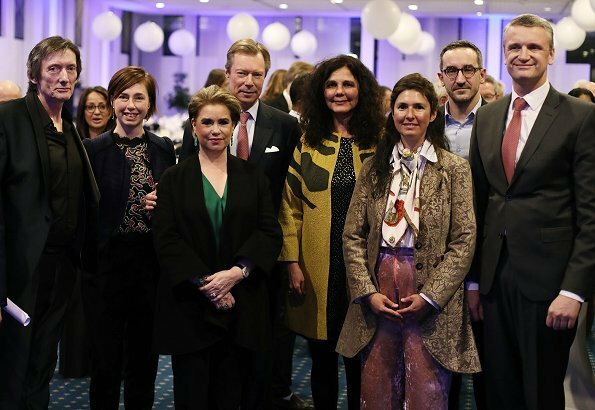 The conference will be held on March 26 and 27, 2019 as the Central European Conference in Luxembourg, by the initiative of the Grand Duchess who is an Ambassador of goodwill to UNESCO and an eminent "Advocate for Children" of UNICEF. 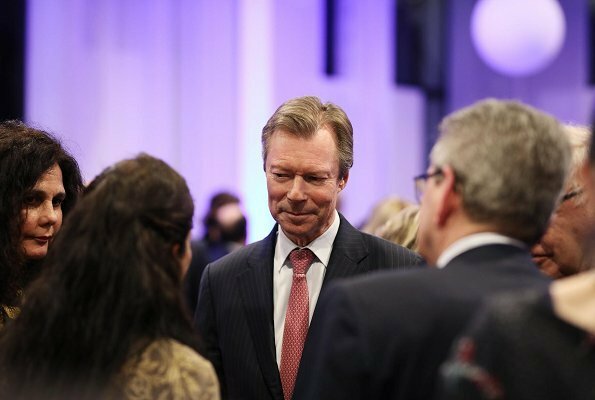 The winners of the Nobel Peace Prize 2018, Dr. Denis Mukwege and Nadia Murad, and in addition the winner of the Nobel Peace Prize 2016, Professor Muhammad Yunus will also attend the conference. I really enjoy seeing a jewel tone like this green as a pop of colour underneath a black suit. Earrings are complimentary as well. Dear Grand Duchess Maria Teresa, please keep wearing your incredible jade!